At SOS medical, we would like to be there for you even before, during, and after the amputation to help answer questions and prepare for the journey ahead. Working through the feelings of having an amputation can be difficult, but sometimes gaining more information can help. Also take a look at our support sources here. Q: What can I do before my amputation to prepare? A: There are many proactive steps you can take to prepare for an amputation. You may be in a deconditioned state at the moment, but engaging in stretching and strengthening (specifically core strengthening). You will be using muscles that you may not have used in a while to help you sit up in bed, transfer to a wheelchair, and if they are feeling good, you will get better faster. Q:What happens after the amputation? A: We want you to focus on getting better! We will work with you and your doctor before and after the amputation if possible. There are several post-operative plans. The Rigid Removable dressing which has been shown to reduce healing time, and Compression Therapy which helps shape the limb to prepare for prosthetic fitting. We will work with you to understand your concerns and goals while preparing a design for a prosthesis. It is important to ask plenty of questions and to communicate with your doctor, physical therapist and prosthetist on your concerns. Q: What does a prosthesis look like? A: There are different looks to many prostheses. We can work with you to understand if you want a more “life-like” look or “bionic” look. There have been many advancements in the artistry of creating a life like prosthesis. We will teach you about each of the options during your initial visit. Depending on the level of amputation, the prosthesis will stay on using suction against your skin, or a liner. A liner is like an extra layer of skin that takes the pressure and rubbing away from your skin to protect it. It can also act as a way of holding the prosthesis on. Vacuum suspension is becoming more popular due to its secure suspension and negative pressure on the limb. This is beneficial for those who lose a large amount of volume in their limb throughout the day. A: A prosthesis works with a few important components. The socket is the most important part because it is custom made for you. We will connect components that are manufactured outside of our clinic to the socket. We will pick different components depending on your level of amputation. For example, an above knee amputee will require a mechanical or microprocessor knee and foot. Whereas, a below knee amputee will only require a prosthetic foot. 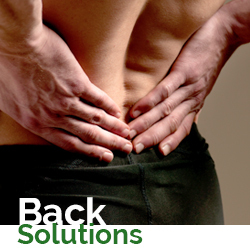 We will work with you and your medical team to get you back to doing a normal amount of activity within a several months. This will vary depending on the level of amputation, your physical ability at the time of your amputation, your socket fitting, and support and attitude of you and those around you. A: Most people are ready to start with the prosthetic fitting a few weeks after surgery. This can depend on the amount of swelling and the condition of the wound. But, we will do our best to work with you, your doctor, and the health care team to get you on your feet as soon as it is safe to do so. It is important to keep your other muscles stretched and strong during the healing period. Keeping strong and limber during your recovery will help with the prosthetic fitting when the wound is healed. A: Every person’s body acts and heals differently. Therefore, follow up appointments will be frequent in the first year or so of getting your first prosthesis. This is because your body is changing and we will need to make adjustments to the prosthesis. 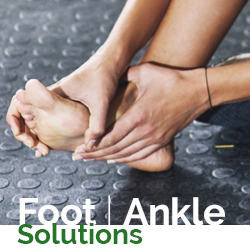 We want to make sure that you are always comfortable, but it is also very important to make adjustments to make sure you do not get a blister or sore on your limb if the socket is not fitting correctly. We will see you more often than you see your doctor in the first few years so it is important to express any concerns, ask questions, and don’t be afraid to communicate with us. A: Your first prosthesis, your preparatory prosthesis, will only last 3-9 months generally. This is because your body is changing, the swelling is going down, and your limb is getting used to weight bearing. After your preparatory prosthesis, the prosthesis should last 3-5 years, depending on your age, activities, and other health concerns. But, that is why follow up and communication will be very important. We will work with you to make sure that it is always fitting well, and if not, we will work with you and the health care team to make the appropriate adjustments as necessary. • Tips for cleaning your prosthesis: • How to put on (don) and take off (doff) the prosthesis • Walking on different types of surfaces, including stairs and uneven terrain • How to handle emergencies safely, including falling down and getting up again • How to perform daily activities at home, at work and even in a car • How to investigate new things you may be uncertain of, including sports and recreational activities. Q: How do I choose a Prosthetist? A: Since you will need to feel comfortable communicating with a Prosthetist, it is a personal decision. It is much like choosing a doctor, but we will probably see you more often. Having a prosthesis will require checkups about every six months to make sure everything is working properly. We will develop a lifelong relationship, so tell us if you have any concerns. This can be achieved at a free consultation appointment, which may be scheduled in our office, your home, or rehabilitation facility. We suggest that you meet a few Prosthetists to decide who you think you could communicate well with through the process. It is ok to look around; this will be a lifelong relationship. Q: What prosthetic services does SOS provide? Body image is a strong predictor of distress and poor quality of life. When an amputee has a poor sense of body image, it not only affects their emotional health, but it can affect their physical relationship with the prostheses, and therefore their physical health. At SOS Medical, we believe in providing a comprehensive service to our patients. We take into consideration all of your goals and needs. We are here to evaluate at all of the ways your amputation is prohibiting you from doing everything you want to do.